I have pretty much been declared the official (Indian) USMLE rumor-monger by one of the most famous USMLE coaching institutes that held introductory classes to tell the masses what USMLE was all about. Thank you sir, you made my day. Now, again, another disclaimer. The last time I wrote about the USMLE match (this one: The USA Dream for IMGs: Coming to an end? Analyzing the 2012 Match) I received a lot of hate mail and comments telling me, pretty much, to buzz off. Hence this time, before launching into my tirade, I shall dwell on this paragraph a while longer. I am NOT trying to dissuade anyone. I am NOT spreading rumors. I am simply trying to analyze the numbers being given out by the authorities in charge of the system and trying to interpret them within the limits of my intellectual and academic abilities. I may well be wrong, so please do not take my word to be sacred, and end up bashing me or praising me. I am just following the logical train of thought that I can construct. Where it leads me to is not in my control. Also, whatever I am writing is MY understanding of a very complicated system. And it maybe entirely WRONG. If it is, let me know, I shall make the required edits. Ok. So then, down to the brass tacks. The NRMP has not yet come up with the detailed analysis and numbers yet – another couple of months for that – but they have released an advanced report and press releases that have quite a lot about the IMGs, which specifically is my area of interest. You can read the whole thing over at the ECFMG Reporter. This policy is a factor in the higher numbers, compared to last year, of both positions offered through the 2013 Match (up 2,358 or 9.8%) and the number of IMGs participating in the 2013 Match (up 1,549 or 13.9%). It also, presumably, reduced the number of positions available outside of the 2013 Match. Now, what that means is that there were more seats to deal with in the Match this time around than any of the previous years. So, whenever you see a spike in this year’s numbers, keep in mind that they might have been because of this newly placed policy rather than because of an increase in scope. I am not denying there is an increase in scope. There possibly is. But until and unless the end-of-the-year data for 2012 match is released, we cannot say that for sure. For the purposes of this post, I shall stick to the numbers from 2011 match for data whenever the ones from 2012 are not available or are incomplete. So, in 2011, almost a third (31.5%) of the positions filled by IMGs were filled through non-Match routes. Though I do not have the US/Non-US break up for this number, yet, this seems like a pretty serious bit of statistics to me. And, if you notice, the eventual number of IMGs matching into the system in 2011-12 was much more than those that matched in the match in 2012-13 and even the all-in system of 2013-14, So if you are an IMG who managed to snag a position this year, well, that’s a pretty darn good job. Give yourself a pat on the back. Mean times, if you, fellow student, are traveling the arduous journey along the path of USMLE, well, if you want to attain nirvana, hurry up. Otherwise, the journey may end in a cul-de-sac! Yes, the numbers this year may still be a bit higher than what has been reported, but since not many programs would have opted to go all-out, it is unlikely that the bump would be significantly large. 1. There has been a large spike in the proportion of non-US IMGs matching into PGY1 positions this year, but how much of it is attributable to the all-in system needs to be factored in before jumping with joy. 2. The rate at which the IMGs are applying is fast outstripping the rate at which the positions are increasing. Even with the all-in system in place, the growth difference this year was about 4%, which is a pretty steep climb. 3. Another metric that is of utmost importance is the positions/applicant ratio. This metric was 0.77 overall last year and 0.91 for US Seniors. In comparison, this year, the positions/IMG applicant is 2 and for non-US IMGs, it is 2.1. Although this is much better than any odds you may face in India, this is not very hot as compared to the other years in the USMLE history! 4. The rates of US-IMGs matching into PGY1 positions is also increasing, as expected. And this year, there was a major spike in the number of US-IMGs applying for Residency. As US medical education remains unacceptably, and often, unaffordably expensive, more and more US students will see it fit to gather their undergraduate degree from one of the developing world countries, where they can get by wit a fraction of the 300,000$ they would otherwise may have been burdened with. As this trend continues, it shall spell more pain for the IMGs. The way I see it, and I may be wrong, is that, any program will be happy to accept an American applicant over an International Grad who may have slightly superior credentials than his US colleague. The fact that they would not present a diplomatic difficulty, what with Visa and other laws changing every year in different countries, is indeed a tempting proposition. Bottomline, USMLE still seems like a better bet, at least numerically speaking than the Indian PG exams. However, you need to factor in the costs, the time and the rapidly shrinking opportunities (as compared to the previous years) before you make this apples-oranges comparison. And if you are a USMLE aspirant, I wish you all the best, and hope you shall not be dissuaded by this post simply because the numbers-gradient is fast becoming steeper. Several friends of mine have matched into the PGY1 positions this year. And none of them will say that the process was without pain or heartache or headache. It just comes with the terrain. My intentions in writing these USMLE series of posts is NOT to discourage people, but to make them understand the risks, as I understand them, before they take this very expensive, very time-consuming leap. This also feeds my interest in Medical Education, because this is an extraordinarily transparent and open system which lends itself to analysis (and criticism), as far as the outcomes are concerned. 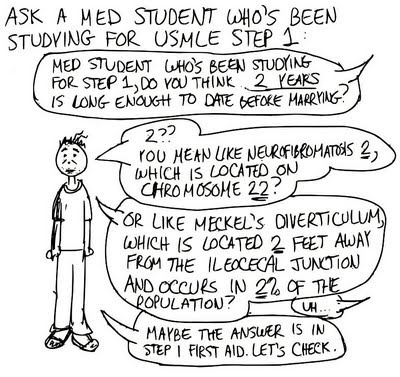 We all know the great mystery of the USMLE scores and interviews process, so no comments on that!!! I only wish that the Indian PG entrance system gets streamlined lends itself to a similar vein of accountability, and I believe that instituting the NEET-PG, a unified entrance exam for Post-Graduate Medical Education in India is the right formula to that end. So, friends, whether or not you are a doctor/medical student/PG aspirant/USMLEan, follow nd support the #saveNEETPG movement on your social circles. Thanks. Now you may post your blasting of my thoughts again. Or if you want to stay anonymous, use the contact form on my contact page. Image Credits: First one, Fizzzy. Second one: Random Facebook share. Tags: All-In Match, IMG, International medical graduate, Match, Match 2013, Medical School, NRMP, PG, PGMEE, Residency, Step 1, United States Medical Licensing Examination, USA, USMLE, USMLE Match, USMLE Step 1, USMLE Step 2. Bookmark the permalink. Thanks. How true are your words. 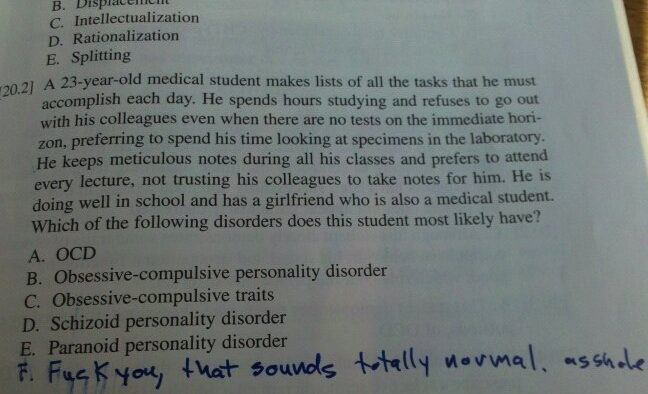 The USMLE is not the be-all or end-all. Actually neither should be a PG degree, since MBBS is supposed to be the basic medical degree for us in India. But it is what it is. And one can only hope that it gets better. In the meanwhile, thanks for getting back in touch. Do stay in touch. And all the best for the journey ahead! Pranab, I strongly believe our internship should be 2 years and each rota should be 2-3 months and should be in broad specialties the 1st year with the option of sub-specialties along with broad specialties offered in the 2nd year. There should of course be more residency posts of course but more in general practice and smaller private hospitals should also be allowed to offer the GP pathway. In that way we will have more doctors. Also the exams must be given less importance than experience and output (research/ courses/cpd – cme) should be more of a factor … Then we will be able to retain junior doctors in the wards where they need to be rather than locked away in rooms studying random medical trivia and sprouting out management of disorders by learning by rote … they should rather be able to write out the protocol by themselves out of sheer experience which they would’ve gained if they were where they need to be. Residency pathways should be 3-4 years along with 2-3 more years as a trainee to augment skills before a person is allowed to function independently as a consultant. 1. Retention of junior doctors in the wards. – As stated earlier by emphasising on clinical competency, ethics, clinical certification, continuous professional development. This might lead to doctors taking more time off to better themselves professionally and thus leading to quality enhancement of medical services. – Lengthening of the residency program and/or training before certification as a consultant. This will lead to rational medical practice and better decision-making capabilities as a consultant. 3. Increasing the residency spots available, by allowing smaller private hospitals to start residency programs, especially in General Practice. 4. Increasing pay to interns/residents. Providing salaries rather than stipends. increase the attractiveness of staying home. p.s. Sorry went off on a tangent and vented my frustration on our system. Sorry for defacing your blog, PC. Thanks for such a well thought-out and comprehensive reply! Defacing the blog? Well, if this is your definition of defacing, please deface it oftener! I was thinking we could expand on your ideas and maybe run this as a guest post on the blog? Fascinating study on Indian Medical Grads and the likelihood of matching into a US Residency program. Thanks for reblogging this, Tola! Not a problem. I look forward to reading more from your site. PC … I’m game .. perhaps with more concrete suggestions, an article …. what the hell is USMLE? ECFMG is vague memory but this is absolutely new. The statistics released does NOT indicate that you need a sponsor in order to match. This is the real problem. ECFMG does NOT have a solution. The US system does perpetrate slave labour by calling it vounteering. “Slave labor”! Ah, isn’t that a little too much of hyperbole? I prepared for usmle in the first two years of my mbbs and then decided to prepare for post grad exams in India,I want to serve in my own country despite all the odds. For we study in government colleges with negligible fee structure,we owe something to the system and country rather than cribbing,crying. Hello everyone, we offer U.S. clinical rotations in Atlanta, GA USA. Do you know of any MBBS students (or graduates) from India who’d like to get 6 months of U.S. clinicals in medicine? We also provide Visa’s to anyone who wishes to come. We have clinicals in OB/GYN, IM, FM, Peds, Surgery, & Psych. Gain valuable U.S. clinical experiences to take back to India!